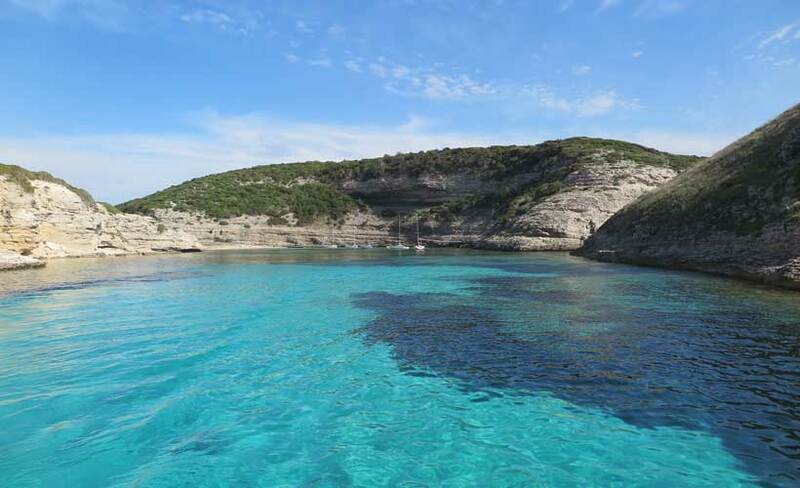 One of our best experiences was a day trip from St Teresa di Gallura on the northern tip of Sardinia on a ferry to Corsica. 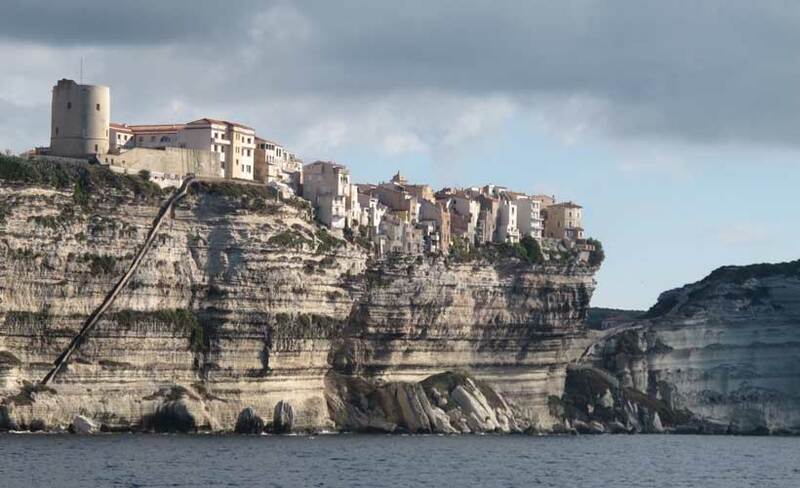 Bonifacio is a town on the southern tip of the French island of Corsica. 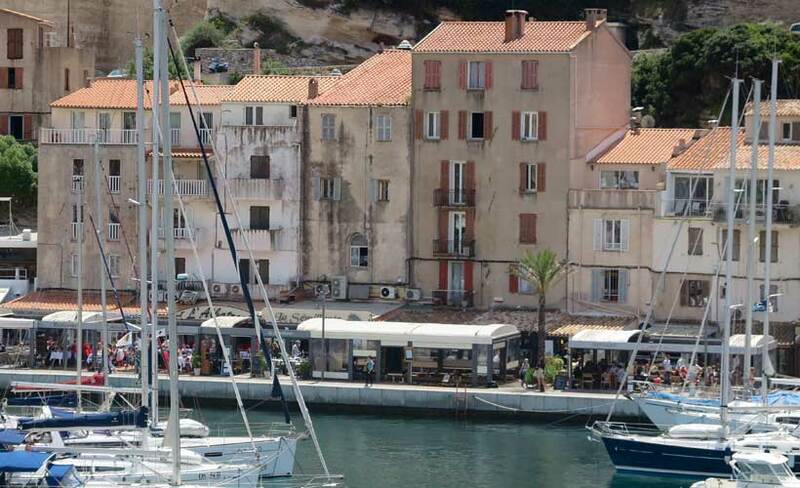 It’s known for its lively marina and medieval clifftop citadel. 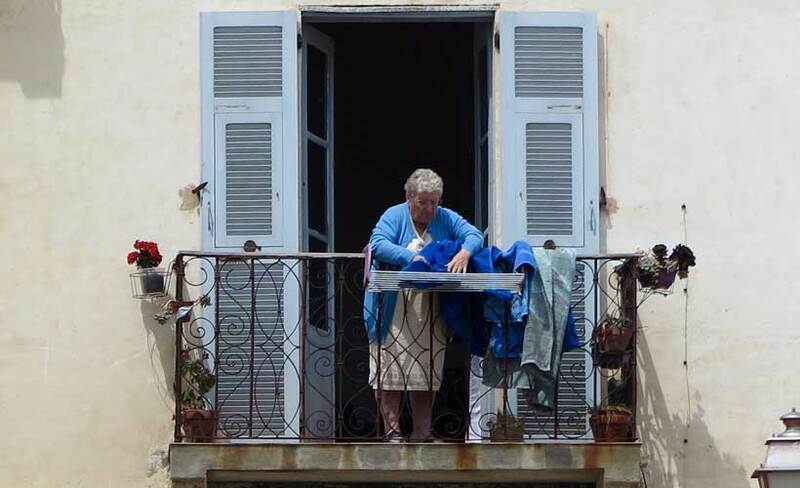 This was our only foray into France, and left us with a desire to explore Corsica more fully. 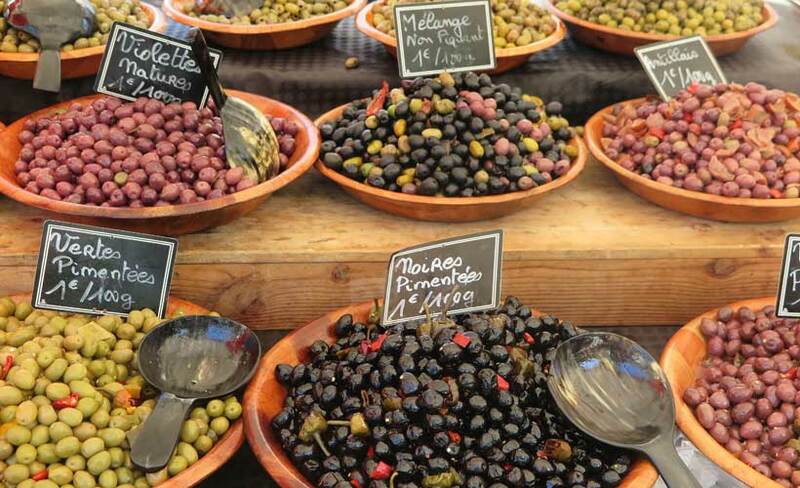 Blue Dot Travel’s small group tours, now include 8 nights in Corsica. 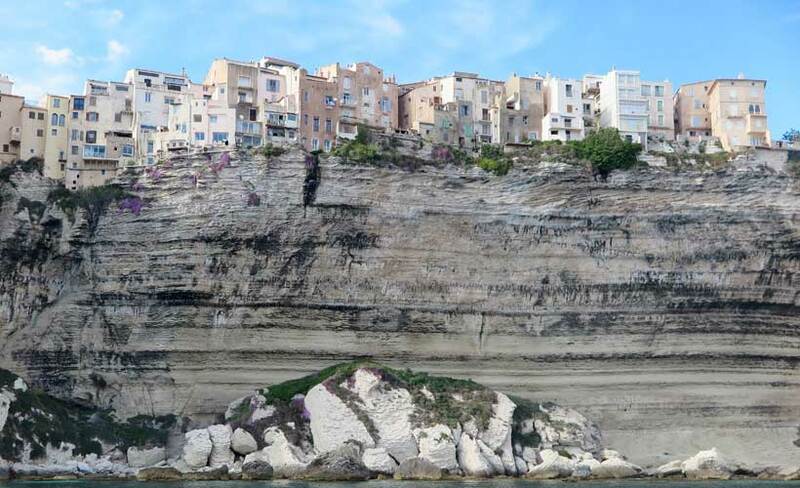 Your Corsica visit includes the beautiful town of Bonifacio. 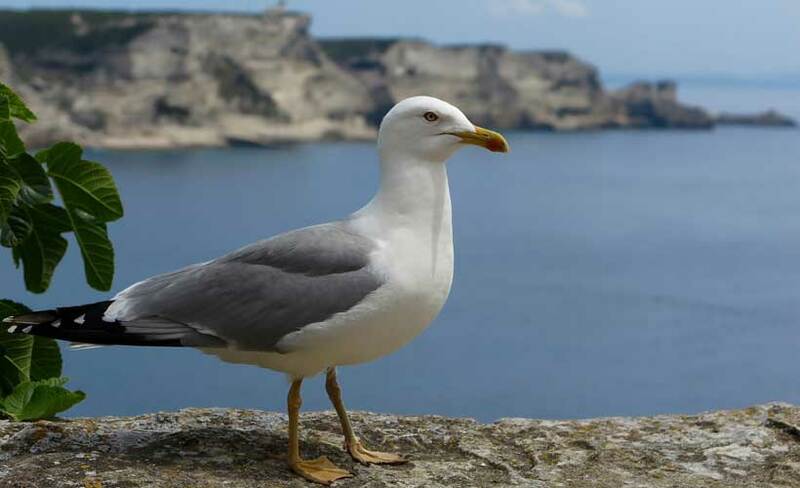 Bonifacio is approached between high cliffs of chalk-white limestone that have been sculptured into unusual shapes by the sea. It’s almost like a fjord, as the channel is only 200 metres wide, with a dog-leg hiding the small but vibrant port from view. 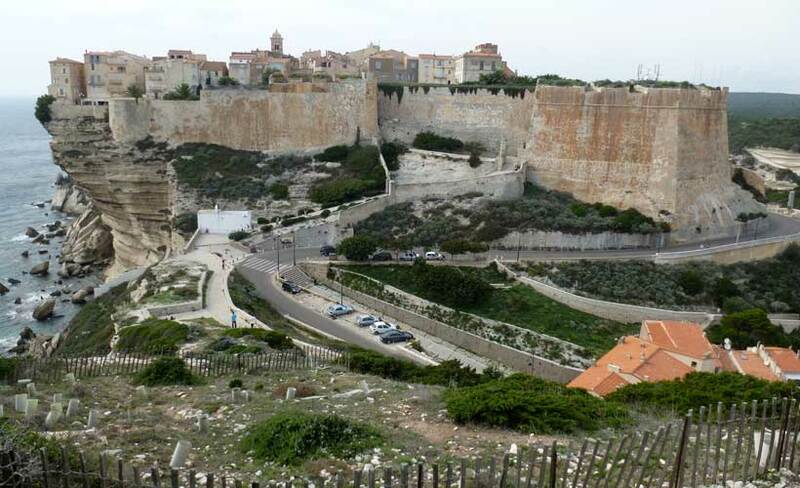 The town is dominated by an amazing citadel, high above the port. 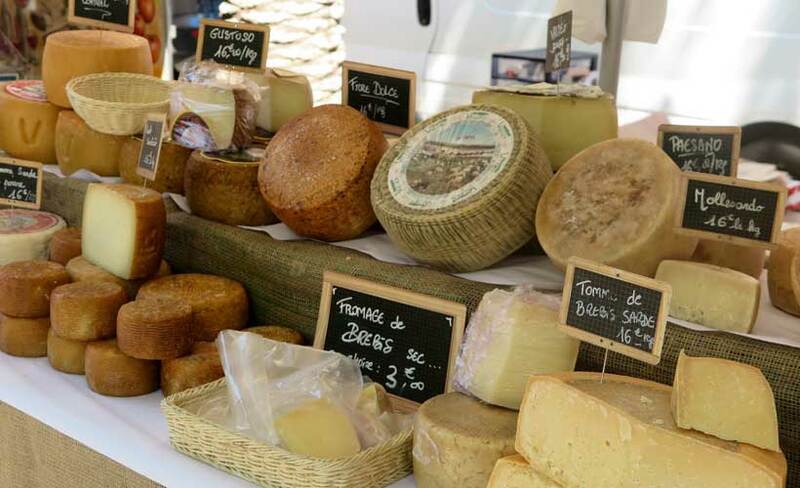 Bonifacio’s Old Town, with a labyrinth of narrow streets and historic buildings, was built by the Genoese and is a fascinating place to wander around. Founded in 828 AD by Count Bonifacio of Tuscany. 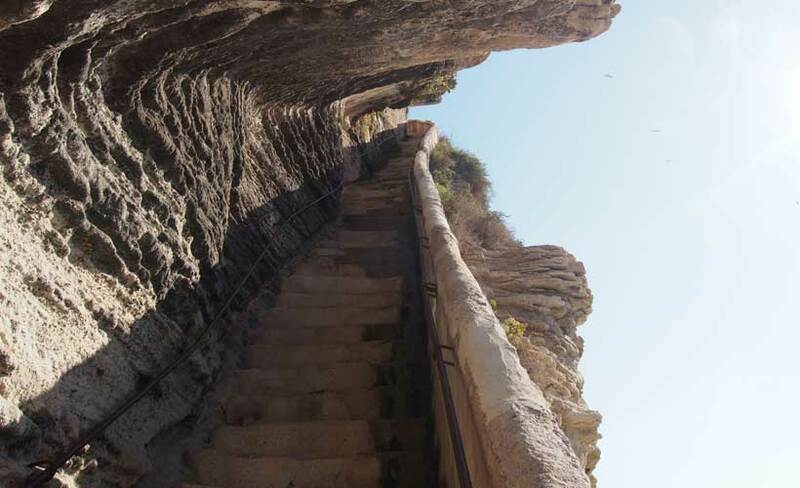 A must do in Bonifacio is the King of Aragon stairway. Legend has it that these were carved by the Aragonese in a single night in 1420 as a surprise attack. The steps however existed before then, probably used by locals to carry water to the citadel from a well that was discovered by monks. – walk down the 187 stairs to the bottom it is well worth the experience. Imagine carrying water up to the top! 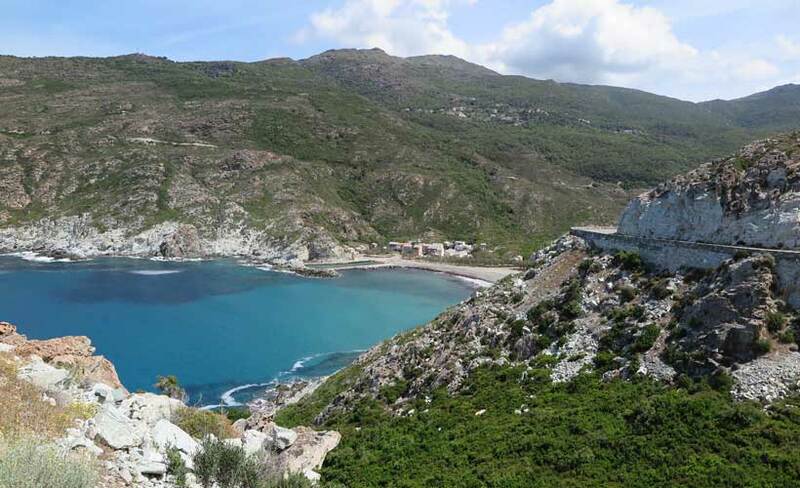 Book your trip to Corsica, plus Sardinia and Malta with Blue Dot! Click here.